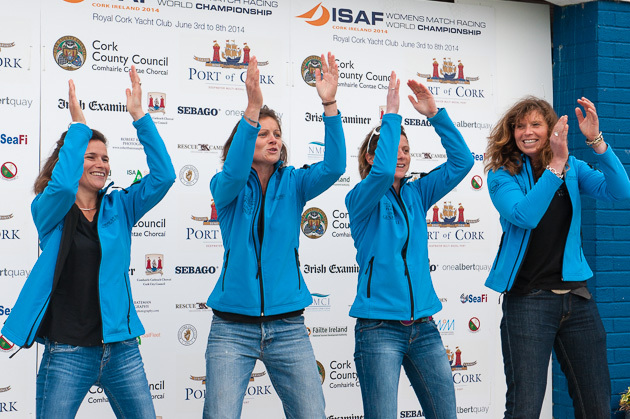 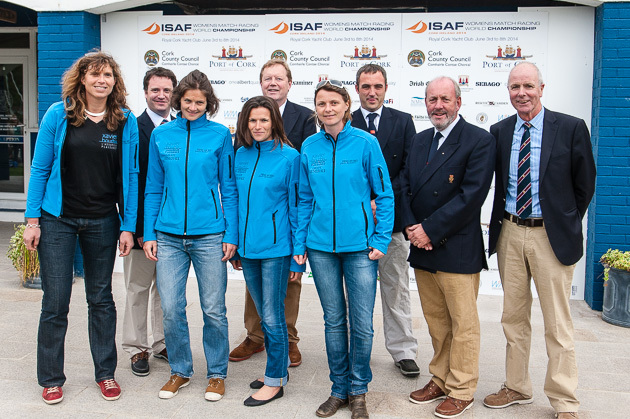 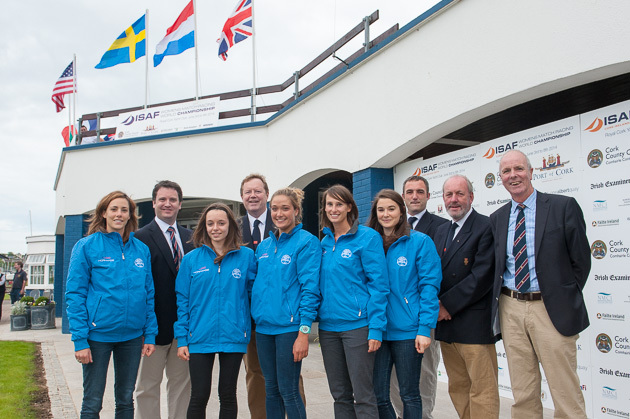 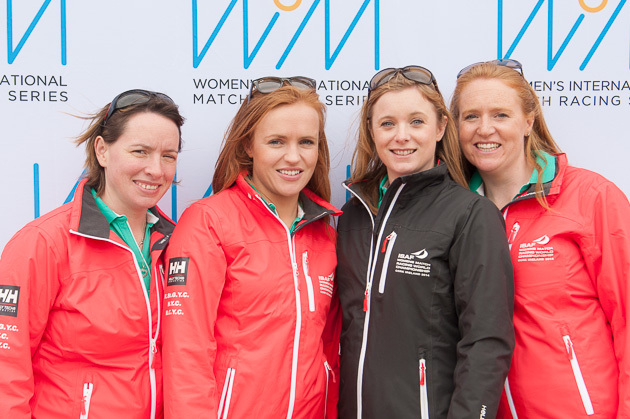 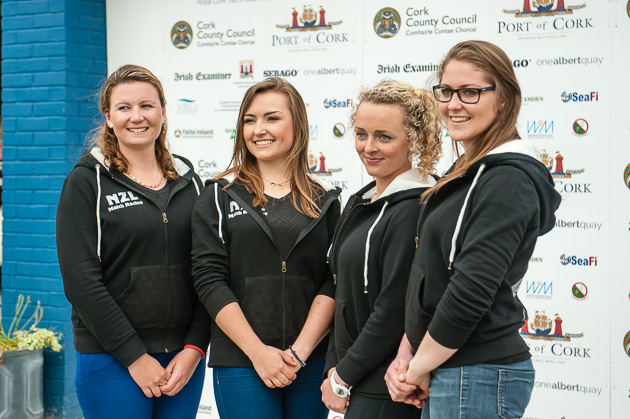 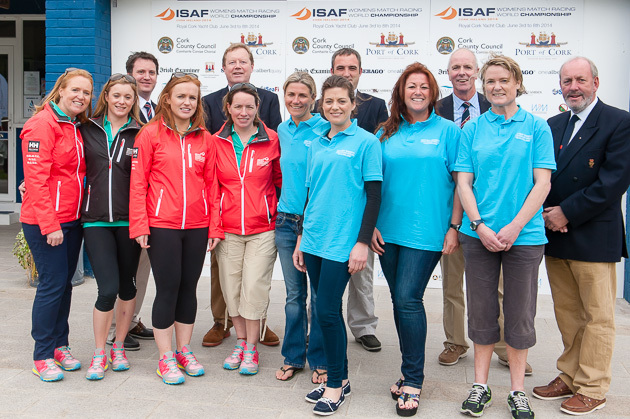 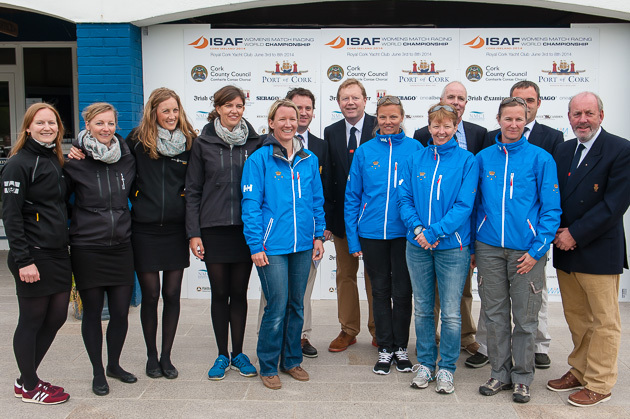 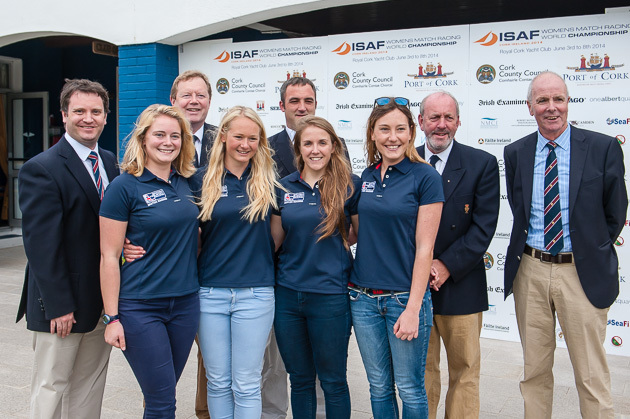 A chilly breeze did nothing to dampen the enthusiasm and sheer exuberance of the thirteen teams assembled for the opening ceremony of the 2014 ISAF Women’s Match Racing World Championship at the Royal Cork Yacht Club this evening (Tues). 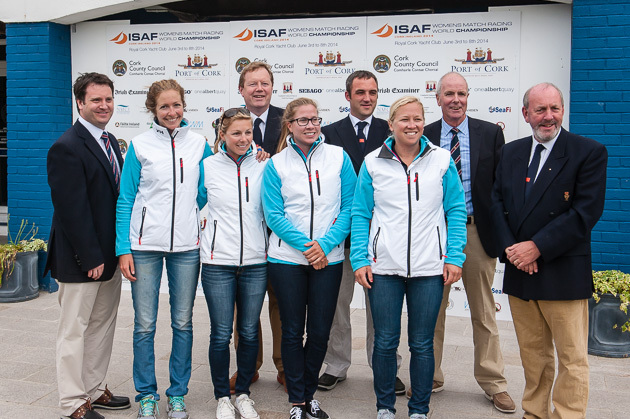 The flags of the participating countries were raised with the accompaniment of the firing of a canon as each country took to the podium to be introduced to the spectators. 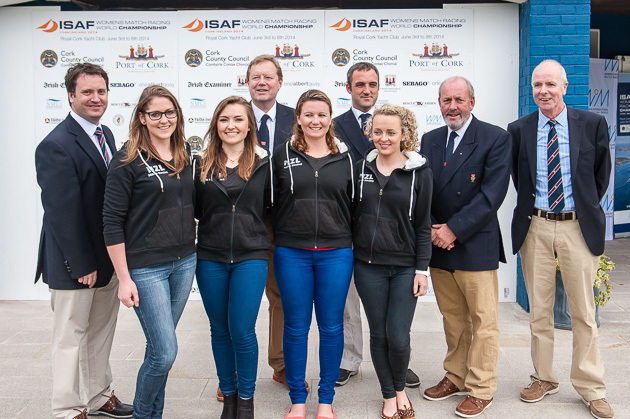 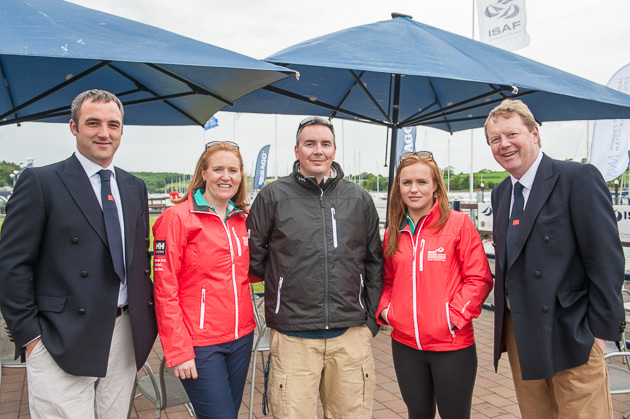 Chairman of the Organising Committee, Ronan Enright, introduced the teams as they reached the podium where they were welcomed by Royal Cork Vice Admiral John Roche , Rear Admiral Keelboats, Kieran O’Connell, Rear Admiral James O’Sullivan, Cruisers and Cathal Conlon Executive Member. 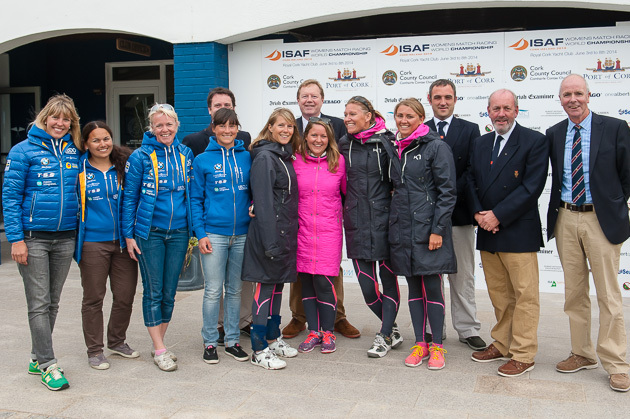 Visiting Skippers on the podium were Camilla Ulrrikkeholm and Lotte Meldgaard Pedersen skippers of the two Danish teams, Anna Kjellberg and Caroline Sylvan both from Sweden, Stephanie Roble , U. S. A., Claudia Pierce of New Zealand, sailing with an Irish crew, Anne-Claire Le Berre and Lucie Scheiwiller both from France, Klaartje Zuiderbaan and Anne Chistianne Kentgens both from Netherlands, Annabel Vose, GBR and the two Irish Skippers Laura Dillon and Mary O’Loughlin.The event is sponsored by Cork County Council and Port of Cork Authority. 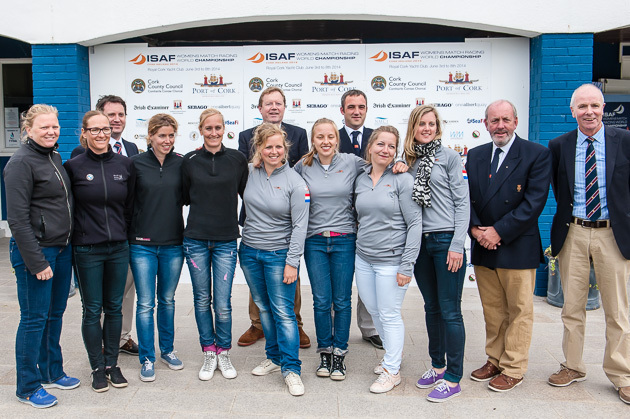 Racing will commence tomorrow( wed) with a round robin series and will continue until Sunday.